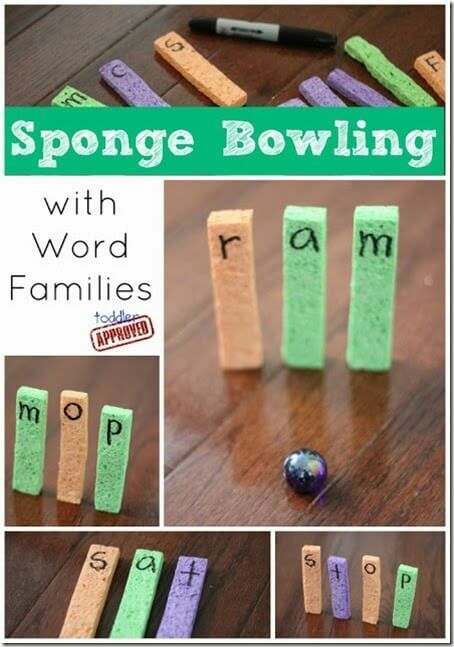 Kids will love practicing spelling and sounding out word families with this fun kids activities. I love playful, fun ways for kids to learn! Here is a great way for kids to work on word families while having FUN too! See complete instructions for Sponge Bowling from Toddler Approved. 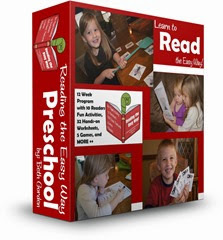 For lots of sight word games, worksheets, readers, and more, don’t miss Reading the Easy Way Preschool!